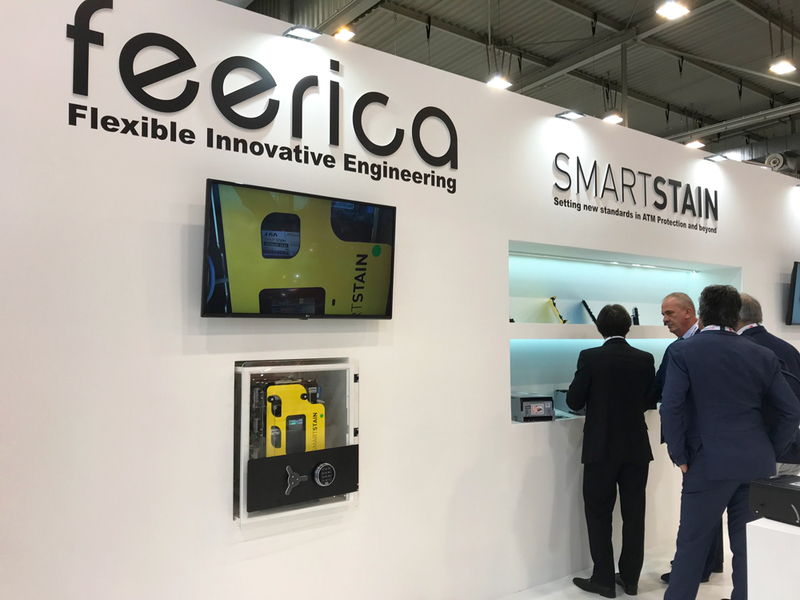 In the last few years, Feerica achieved several important milestone in successfully exploring new geographies and markets where our products have been tested and recognized as best in class. 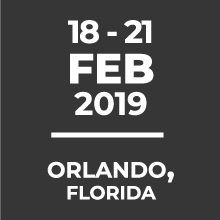 Our newest destination is the Americas, where we will be at the ATMIA US event, taking place in Orlando Florida from the 19th to the 21st of February, 2019. 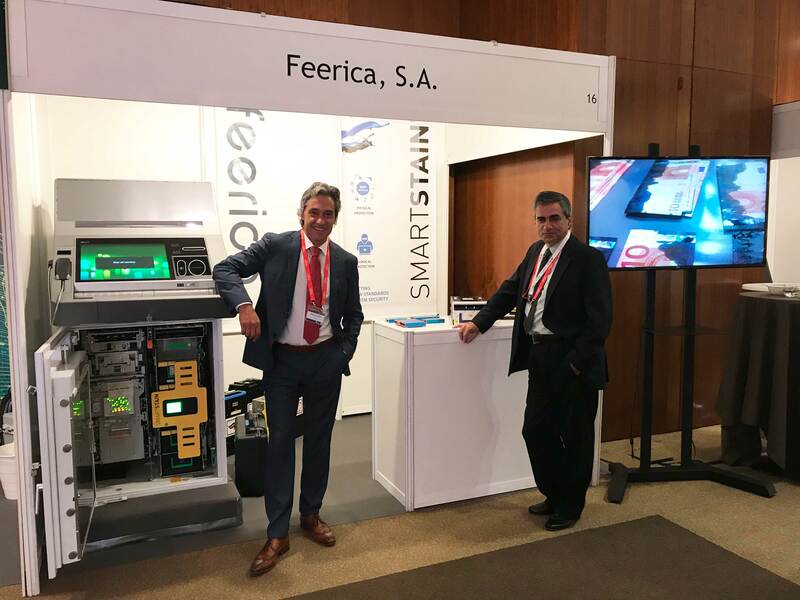 Today, Nuno Mello Sampayo Abrantes, CEO of Feerica, will share his experience of physical and logical attacks at ATMs worldwide at ATEFI Summit - Seguridad en Medios de Pago (ASMP2018) at the Hotel Meliá Hotel in Buenos Aires, Argentina. Organized by the Latin American Association of Operators Electronic Funds Transfer and Information Services - ATEFI with more than 25 years of experience and a significant number of Associated Networks in the region of Latin America and Europe, this event brings together the most prominent security professionals and counts with multiple presentations about logical and virtual security across multiple e-payment platforms - ATMs, e-commerce, smartphones, applications and the new technologies associated with these payment methods. ATMIA is the leading non-profit trade association representing the entire global ATM industry. ATMIA serves more than 10,000 members from over 650 participating companies in 65 countries spanning the whole ATM ecosphere, including financial institutions, independent ATM deployers, equipment manufacturers, processors and a plethora of ATM service and value-added solution providers. ATMIA provides education, advocacy and connections to help its members keep abreast of industry news and developments; increase knowledge and professionalism and forge new relationships to advance their businesses. If you are attending ATMIA Madrid come see us at stand 16. Our team will be excited to talk to you about ATM security systems. 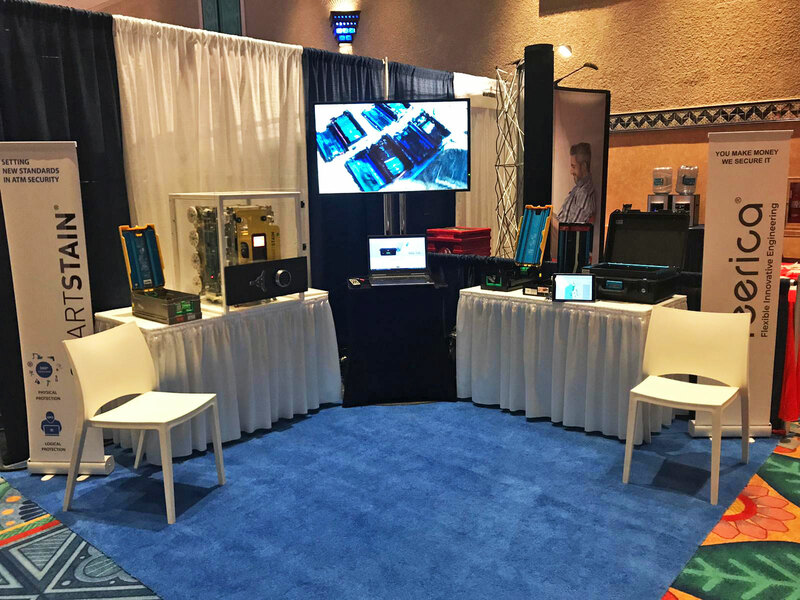 ATM & Cyber Security 2018 is the world’s leading conference focused on physical and logical ATM security. 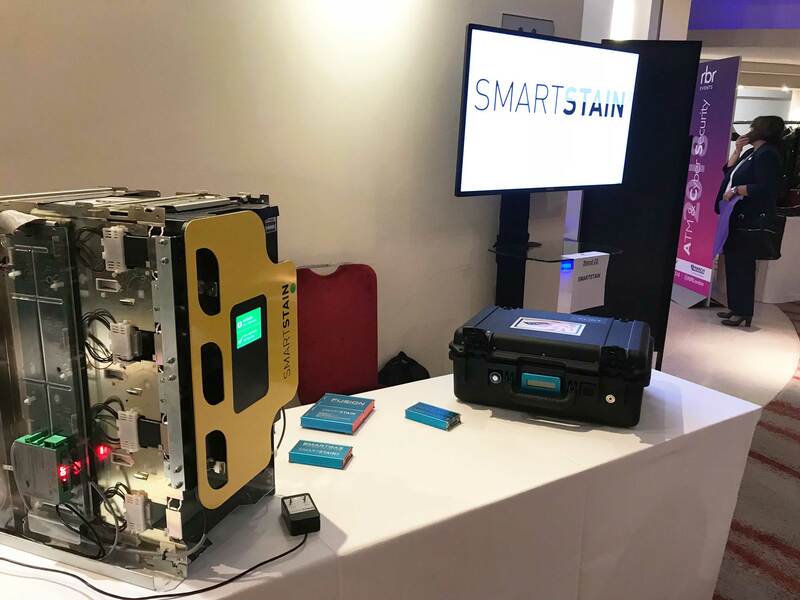 The event comprises a high-quality speaker programme containing important contributions from leading banks, law enforcement agencies, solutions providers and a range of industry bodies. This is complemented by a vendor technology exhibition area where delegates can view the latest security products and services, share ideas and network with industry peers. The event attracts 400+ banks and security experts from over 40 countries worldwide. We're presenting our products at Booth 23 on 9th and 10th October. The No. 1 for more than 40 years: security essen is the world's most important trade fair for security. The world market for security is booming and Feerica had to be present at this event. All the experts, decision-makers and buyers from this industry will be meeting in Essen, Germany where they will discuss the latest innovations and trends in this market. We are in Hall 1, Booth 1D26 to introduce our products: Smartstain, Meta and Perla. Feerica presents its renewed website with new features, a modern look and feel and an easier and intuitive navigation. The new website aims to be another step in the constant improvement of our communication with our customers, suppliers, partners and visitors. Our clients and interested entities can now search and access content about our solutions and propose by sector of activity, the latest packaging projects and the constantly updated information about our equipment. Feerica is pleased to announce that we will be joining once again the Jumbo Race 2018, an initiative which takes place on 8 and 9 September 2018 at the Estoril Autodrome. We invite all colleagues, partners and clients to participate in this event, whose objective is to create and develop the spirit of cooperation, mutual aid and solidarity, guiding its action in values ​​such as Solidarity, Ethics, Transparency, Trust and Sustainability. For more information and to see the complete program see here the official website of the Jumbo Race. On July 20, our development team and a group of specialized pyrotechnics experts joined forces to conduct tests involving explosive gases to verify the performance of revolutionary new Feerica products. 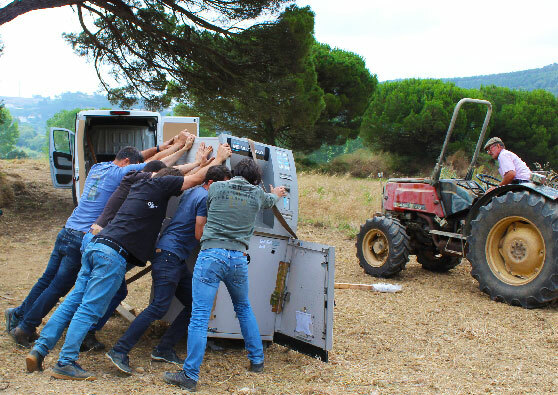 The tests were run with all necessary safety precautions and equipment and the results were successful as expected, demonstrating the quality and efficiency of our solutions. 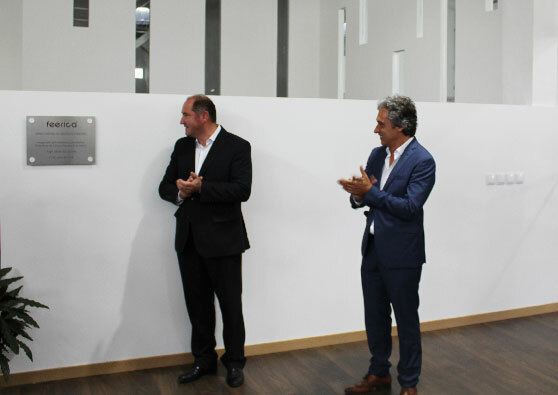 On the 17th of July we had the honor and privilege of receiving the Honorable Mayor of Mafra, Mr. Hélder Sousa Silva, that officially inaugurated the new Feerica Development Center. These facilities are part of a growth project of Feerica / PNP Group, whose main objective is to create and develop high-tech technical solutions in the fields of mechanical engineering and electronics, currently collaborating in different projects with different perspectives but always with the same objective; contribute to a richer and more dynamic organization.